A former resident of Northern Virginia, Michele gained valuable experience in marketing and sales during her 12 year career in real estate with the largest firm in the U.S. She also gained national exposure to real estate by doing productivity coaching and helping launch a market center in Northern Kentucky. Michele relocated to Greater Cincinnati in 2010. She has been in the top 1% of realtors since 2002 selling over $350 million in real estate sales. She continues to own a team in the Northern Virginia market place and doubled the growth of the Greater Cincy Homes Team in 2013. Michele has a unique understanding of real estate sales and her national exposure and volume of sales makes her an industry leader. 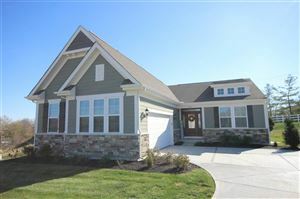 She understands dynamics and selling in Ohio and Kentucky and interacts with agents in both states. She is able to provide maximum exposure for her clients’ properties to potential buyers around the globe. She is dedicated to providing the highest level of service, whether her clients are looking to purchase or sell a small home, or buy and sell luxury homes. Michele enjoys her husband and three children. She loves outdoor activities, yoga and travel. She is a member of the National Association of Realtors (NAR), Cincinnati Area Board of Realtors (CABR), Northern Kentucky Association of Realtors (NKAR) and Northern Virginia Association of Realtors (NVAR). Let Michele put her experience to work for you. Spending over 15 years in the healthcare industry taught me the importance of listening and the value of understanding what’s important to physicians, nurses, colleagues and patients. Taking that same listening and understanding approach is key as we work together to help you buy your next home or sell an existing home. 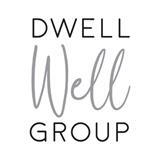 As part of The Dwell Well Group at Coldwell Banker / West Shell, we are your trusted source for all things related to your home from: the transformation process, to the sale or purchase and everything in between. We partner with our clients to achieve their real estate goals by empowering them with knowledge of the market and providing them the best resources available. Our team has the privilege of helping numerous families buy or sell each year, with the majority of those transactions coming from past client referrals. We welcome the opportunity to work with you! Providing outstanding service to my clients is my number one priority. It’s important that your agent be an advocate who understands your needs, answers your questions and keeps you informed throughout the entire real estate process. I am a single mom of two and will work tirelessly to please my clients. Buying or selling a home is a huge decision and can be stressful. My job is to help eliminate the stress by: listening carefully to your requirements, responding, minding the details, negotiating offers, following up and working with you to have a pleasant experience by achieving your real estate goals. My background is in corporate relocation and I specialized in temporary housing/rental needs and transfers to the City of Cincinnati from another state. I was also an active board member of the Greater Cincinnati Relocation. I am a motivated professional using knowledge attained through my diverse career in real estate, technology and management to make a difference in my client's real estate experiences. My signature trait and a critical component of my success is a strong passion for customer service that was ignited by 15 years of Restaurant Management experience. ● Be an advocate for you and to that end will do everything in my power to foster a positive real estate experience for you. ● Provide clear and consistent communication regularly. ● Set myself apart by participating in Continuing Education above and beyond Industry Standards. ● Provide World Class Customer Service. With this in mind, I humbly request an interview to be your trusted real estate adviser! I aim to provide sound, accurate information to assist in your buying or selling decisions while managing the entire process. My goal is to make the buying and selling process as seamless as possible leading to a successful closing and a happy client ! Born and raised in Northern Kentucky, I attended St Henry and graduated high school from Dixie Heights. Studied Broadcasting at Northern Kentucky University. Currently live in Villa Hills with my husband Carl and three children. We belong to St Barbara's church. I have been with a licensed Realtor with since August 2007. I specialized in working with short sales from 2009-2013. Along with my normal real estate duties I am also currently working as a listing agent on our HUD team at Coldwell Banker. I’ve built my business on 2 key concepts: reduced costs for my sellers, and personalized service for all my clients. You’ve probably heard endless radio ads with local realtors promoting one gimmick or another. I don’t invest in that type of expensive self-promotion, so I’m able to pass those savings on to you! With my exclusive “List for Less” program I’m committed to having you walk away from closing with more of your money in your pocket! I don’t believe in gimmicky sales techniques. I believe in professional, attentive service that builds my business one satisfied customer at a time. I will personally supervise every aspect of your home’s sale. You can rely on me to be present at your open houses, showcasing your home to each and every visitor. I would never delegate that important event to a surrogate, as many realtors do! Tiffany began her Real Estate career as a transaction coordinator for the Dwell Well Group in 2003. Inspired by the life-changing powers of Homeownership, she obtained her Virginia REALTOR license in 2005, and continued to work “behind the curtain” for several more years while her sons grew. During this time she supported the Dwell Well Group across multiple states & learned how to manage a home sale or purchase through just about any challenge. This background training helped Tiffany to develop strong connections in the DMV area with Realtors, Lenders, Title Reps, Inspectors & other vendors which makes her a valuable asset to her clients. Tiffany began selling homes by referral only in 2008 & has since become an full-time Realtor serving Fairfax, Loudoun, Clarke, Fauquier, Frederick & Warren Counties. Tiffany’s favorite pastimes include educating her clients about the home sale process, volunteering with her son’s Choir group, attending local concerts & plays, traveling, reading, hiking, baking, knitting, crocheting, brewing mead, playing with her dog Dante or cuddling with one of her very arrogant cats…assuming they are not too busy taking a nap. Mark A. Smith has been a top real estate agent for 7 years. After an extensive 21-year career in Commercial/Corporate real estate, Mark made the move to the residential side of the industry. Clients choose to work with Mark for is full service, ethics, experience, expertise and “can do” attitude. Mark has consistently shown the ability to satisfy clients in all aspects of buying, selling and advising. Mark’s extensive knowledge of the Virginia and Maryland (having live in both states) market/area has client seeking his extensive expertise. Mark views every client as building a relationship, not just a transaction when selling or buying their home. When selling or buying, it’s a journey, not a destination.